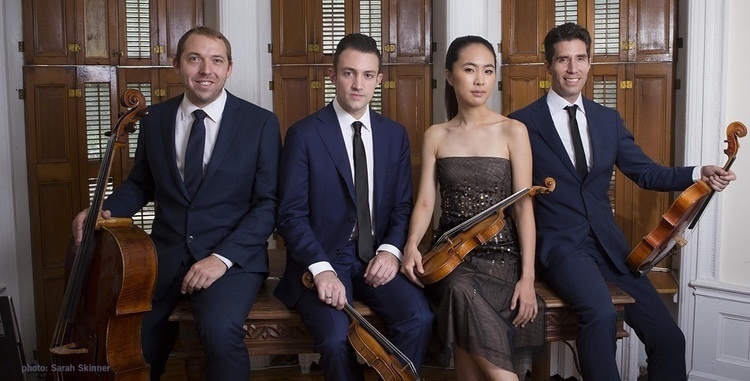 Championed by key musical figures worldwide, the Escher String Quartet is a former BBC New Generation Artist and serves as season artists of The Chamber Music Society of Lincoln Center. The quartet will perform Brahms' Quartet in B-flat Major, Op. 67 and Shostakovich's Quartet No. 4 in D Major, Op. 83. Grammy Award-winning guitarist Jason Vieaux will perform solo works by Bustamante, Tarrega, and Duke Ellington, and will be joined by the quartet in Luigi Boccherini's Guitar Quintet in D Major (Fandango), G. 448.